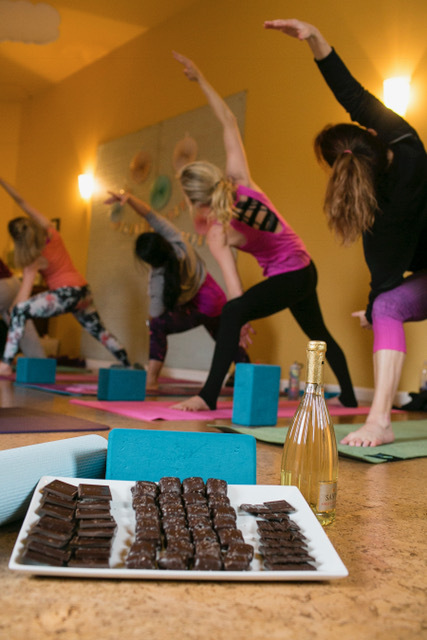 Put worship into motion with this Christian- themed yoga class. If you have been hesitant to try yoga because you fear it’s misaligned with your faith, or if you want to deepen your experience and relationship with God, this yoga class is for you. Class will follow a typical vinyasa flow format, but will include Christian references. Start the class meditating on a bible verse. Discover how the body can become an instrument of worship; opening you up to the divine flow of the Holy Spirit and allowing you to experience the peace and joy that comes from communion with God. All levels of practitioners are welcome. This is a specialty class that will appear periodically on our schedule. A moderate vinyasa flow class that invites mindful awareness into the physical practice of yoga. It’s like getting a yoga class and life coaching session all in one. Develop strength, stamina, balance, flexibility, and focus. Not only will you feel like you got a workout, but you’ll walk away with a centered mind and nourished spirit. Modifications are offered and props are available to make class accessible to all levels of practitioner. Class ends with a final relaxation and optional aromatherapy temple massage. A gentler class that places emphasis on stretching, balance, and relaxation over building strength. While we do some flow, the pace is slower and there is less “up/down” than in a traditional vinyasa flow class. Emphasis is placed on turning your yoga practice into a moving meditation. Breath work (pranayama) and restorative poses are often incorporated. Class concludes with a final relaxation/meditation and optional aromatherapy temple massage. A class designed to soothe the mind and body. We will be doing a series of supported poses (no exertion necessary in this class) combined with mindful breathing techniques to calm the nervous system and allow for deep relaxation. There will be short seated meditations before and after the sequence. All levels of experience welcome. Perfect for those new to yoga and who want to start with the very basics. We will cover simple breathing techniques and review alignment and positioning for the most common yoga postures. Brief discussion of yoga philosophy and exposure to meditation will also be included, although the primary focus will be learning the physical aspects of the practice. Watch for schedule notices and updates on our website www.wellfinity.com or Facebook page www.facebook.com/wellfinity . 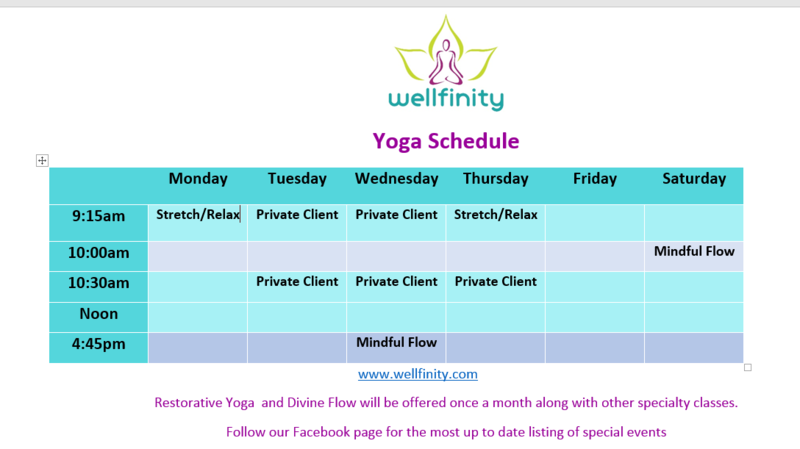 Or email shelly@wellfinity.com to inquire about class schedule and to get on our mailing list. Come away feeling relaxed, energized, and less stressed with a clear mind and nourished spirit. 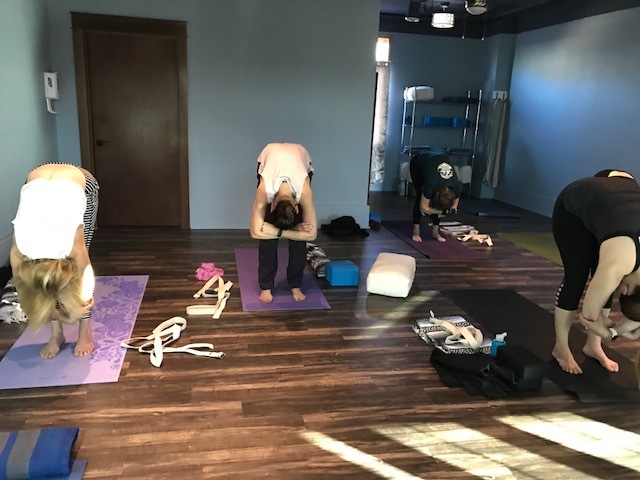 The mayor of Coralville, John Lundell, shares his experience with Wellfinity Private Yoga. Here’s how one of my private yoga clients describes her experience. “My overall flexibility has increased significantly. I have greater range of motion, especially in my shoulders and hips, and have noticed that I am not as sore from my regular workouts like I used to be before yoga. Each session is developed to meet my individual needs and fitness level. 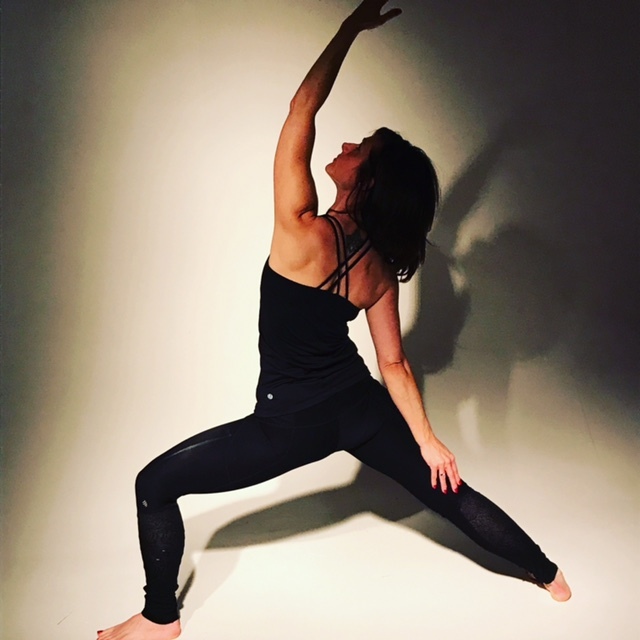 Shelly is an exceptional instructor who has a gentle and soothing way of teaching yoga that helps keep your mind focused and calm. I always leave our sessions feeling lighter, healthier, and more at peace. I highly recommend personal yoga with Shelly for anyone with or without yoga experience. “ – Colleen R.
More affordable than private, but you still get the benefit of more personalized instruction and extra attention. Have a running buddy with whom you always complain how tight you are? Or a co-worker who, like you, has always wanted to try yoga but a class seems intimidating? Then this is for you. Have questions or want further information? Contact me using the form below to start your own journey to peace, relaxation, and rejuvenation!